Always a night to look forward to! We will announce the film in mid-June. This year we will be back at the Souderton Borough Community Park, 459 Wile Ave, Souderton, Pa. We plan to show the film outside, under the stars, and have some treats including Rita’s water ice, popcorn and soft pretzels. The film will begin at dusk (at 8 pm) so don’t forget to bring your lawn chairs and blankets. We will be collecting donations for the Keystone Opportunity Center. Help us select this year’s family film for our Annual Movie Night! Vote on our facebook page by Friday, June 23! (if you don’t use social media, then call our Souderton office at 215-723-2162.) Which is your favorite film? “An oral cancer screening is a quick and painless part of your ordinary dental examination,” says Dr. John Reckner, F.A.G.D. “Although we perform cancer screenings all year long, in April we support OralCancerCause.org, a national foundation that helps patients and their families undergoing treatment for oral cancer.” In April our team wore purple ribbons, and educated our patients about the importance of early detection. Learn more about the benefits and how easy it is to have an oral cancer screening. This year weparticipated in the Bubble Gum Challenge! Many oral cancer patients are not able to chew gum … .or blow a bubble. We will be blew bubbles for those who cannot. We made donation to Oral Cancer Cause’ Bubble Gum Challenge and encourage our community to support their mission. All donations to this nonprofit are tax deductible and go to helping patients and their families during treatment and to educating the public about the importance of oral cancer exams. #bubblechallenge17, #oralcancerblows, #oralcancercause, and #wrrSmiling. Our office hashtag is #wrrSmiling. 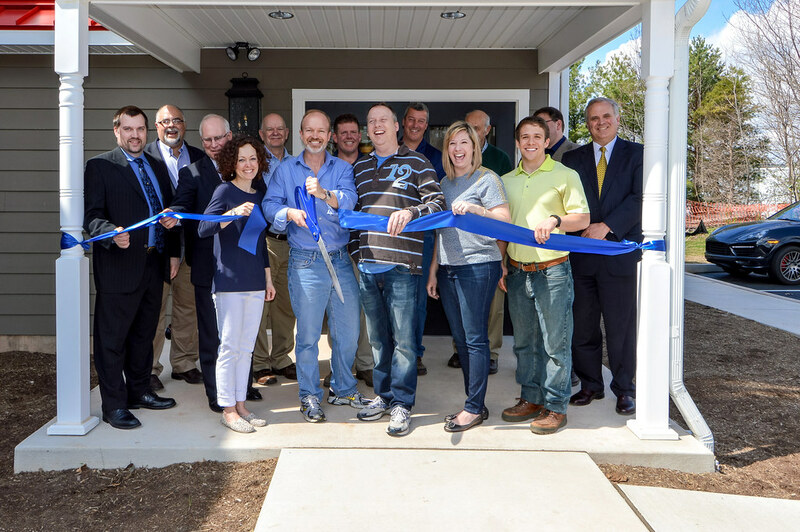 Weaver Reckner Reinhart Dental Associates is pleased to announce that our new office building at 181 Main Street in Harleysville opened on April 4th, 2016! It is a beautiful, modern, state-of-the-art office, where we will be better equipped to handle same-day emergencies and patients who require more comprehensive procedures. Our new building represents our continued effort to use the very latest dental technology and to offer our patients the highest standards of care and comfort. Our Souderton Office will remain open and both locations will offer convenient hours. Make an appointment. Read the feature about the opening by Bob Keeler in The Souderton Independent. Above: Taking part in the April 1 ribbon-cutting are, front row, from left, Tara Ayers, Dr. Todd Weaver, Dr. George Reinhart, Dr. Tracy Reinhart and Dr. Chris Zeledon, all of Weaver, Reckner& Reinhart; and, back row, from left, Brent Thompson, Steven Hunsberger and John Weierman, all of the Indian Valley Chamber of Commerce; Bob Gailbraith and Bob Brice, both of Schein Dental Equipment; Tim Gotwals and Richard Kirkpatrick, both of Berks Ridge Builders; Mark Hasaka, of AIA architectural firm; and Steve Kopenhaver, of Harleysville Savings Bank. Ribbon cutting photo by Mike Irby Photography. Thank you to Steven Hunsberger of the Indian Valley Chamber of Commerce for arranging our ribbon cutting ceremony. Video by Andrew Moyer of our new office from the sky! Enjoy some photos from our Opening Day on April 4th taken by Dr. Todd Weaver. In 2010, with two locations, one in Souderton on Route 113 and one in Harleysville in the Peter Becker Community, our dental practice added a third location and started providing dental care for the patients at 181 Main Street, when Dr. Jack Brent retired. Creating Smiles for All Ages is our goal and all of our patient-centered dental services that are available at our Souderton Officw are now available at our new building on Main Street—from routine six-month dental exams to orthodontics to oral surgery and dental implants. The comfort amenities our patients love—warm towel and blankets, neck pillows, ipods, sunglasses, patient education videos, complimentary beverages, and a children’s’ play area in the waiting area—are also available. And for patients nervous about dental procedures, Nitrous Oxide will be an option on-site. We offer more hours of appointment time to our patients. Now that our new building is completed we can offer our patients a wider range of appointment times. Previously, our Main Street Office was only open 3 days a week, and now it is open 5 days a week, with extended hours. In addition to our dental hygienists and dental assistants, two doctors are on-site caring for our patients during routine exams and dental emergencies, thus reducing wait times. This allows patients to have their preferred appointment times at a convenient, modern location. Dr R. Todd Weaver We will continue to keep up with the latest technologies. From the convenient parking, to the comfortable dental chairs, the design for the new building is tasteful and thoughtful. A relaxing reception area allows easy interaction with our great front desk team, while our eleven dental treatment rooms provide each patient with plenty of room, and the comforts of natural light and an outside view. The second floor includes staff offices and a conference room for presentations and training. The design of the building, which uses local residential architecture as inspiration, fits right in with the surrounding buildings but is also striking enough to be noticed as one enters the business district of Harleysville. The land is contoured to provide areas to contain rainwater and will have landscaping that uses a combination of native and ornamental plants and shrubs to beautify the property. Sign up for our monthly enews, view our photos and post on our facebook page, or visit this webpage for updates. If you have any questions or concerns, please give us a call at 215-723-2162 or email us at office@gotta-smile.com. Since opening our practice in Souderton in 1994, we have been grateful to earn the trust of our community. We have grown from a staff of two doctors, a receptionist, a dental assistant and a dental hygienist, to five doctors supported by a team of almost 60 skilled, dedicated and caring staff members. Through the years our vision has remained the same—to provide a patient-centered experience that is timely, efficient, respectful, caring, thoughtful, and unique every time. Our dedicated team of 22 volunteers gave their time and skills on Saturday, March 18, to provide comprehensive dental care to 28 patients in need in our community. The dental exams and treatments included approximately 166 procedures. Every year we reach out to the community by contacting schools, churches and the Keystone Opportunity Center to connect with residents who could benefit from our Smile Day event. Sara Cassel, daughter of our dental hygienist Jen Cassel, took our photographs. Dr. Todd Weaver and Dr. John Reckner led the trip to Nicaragua with volunteers from our dental team. View our Nicaragua Dental Mission on our facebook page and on social media #wrrSmiling #wrrDentalMission. Thank you to everyone who has contributed to our dental mission! Power outages, equipment held in customs, and dentistry on a front porch! 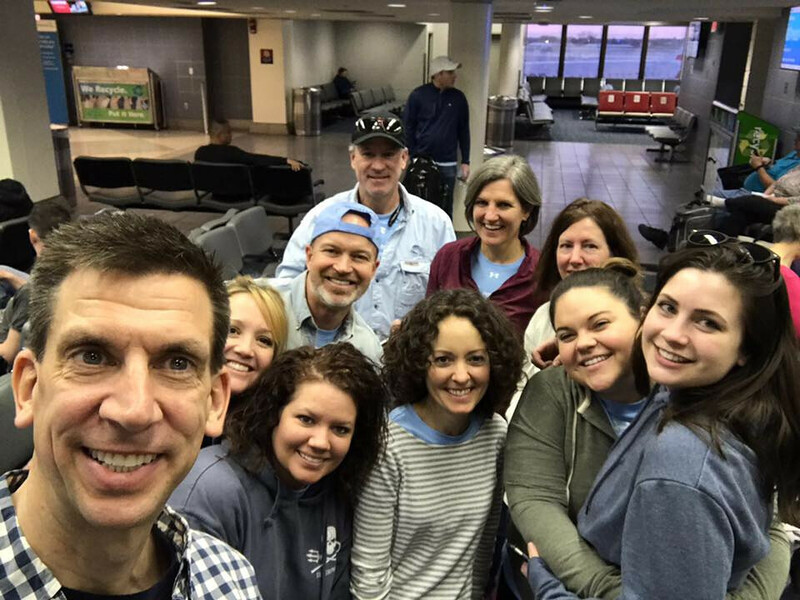 Nothing deterred Dr. Todd Weaver, Dr. John Reckner and our team from providing over 800 procedures on nearly 350 people during our inaugural Dental Mission to Nicaragua this February 10 to 18. We worked in the remote communities of Los Navarrete, belonging to the District of San Rafael del Sur, and La Aduana 2, belonging to the District of Villa El Carmen. We set up mobile units and chairs, and even treated on the front porch of a local woman who offered the use of her house.